- Super high resolution at Full HD / 1,920 x 1,080 created by high sensitivity MOS image Sensor. - Smart coding Technology : Group of Pictures (GOP) control function removes unnecessary information from the frame for realizing efficient encoding. With the latest bitrate reducing technology, GOP control, 3D-MNR(Multi process Noise Reduction) and FDF(Frequency Divided Filter), the network bandwidth and the disk space of recorder can be saved. 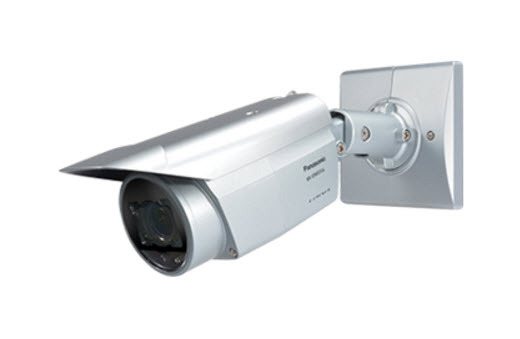 - IR LED equipped : The equipped infrared LED makes it possible to take pictures at zero lx. *1 Super Dynamic function is automatically set off on 60 fps mode.